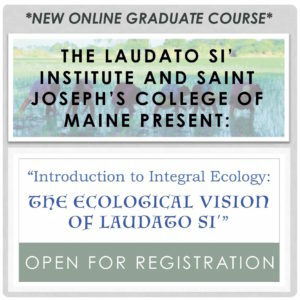 Introduction to Integral Ecology (TH 622) is a three-credit graduate course offered completely online through Saint Joseph’s College, an institution of higher education accredited by New England Commission of Higher Education (NECHE). The course is lasts 12 weeks. Tuition is $1,095 USD. Students who sign up through the Laudato Si’ Institute will receive a 10% discount. To register for the course as a non-SJC student, contact the Online Admissions office at onlineadmissions@sjcme.edu. Let them know you are only interested in taking this course, and not applying for a program. You would be considered a Continuing Education student. At the heart of the encyclical Laudato Si’: On Care for Our Common Home, there is a radiant and inspiring understanding of human kind and nature as existing in a life-giving covenant the emanates hope and calls us to a new form of life through an “ecological conversion” (LS, 216). And yet, when confronting ecological problems, many believe that practical solutions alone are sufficient to resolve what are ultimately much deeper issues. Politics and technology seem to be the only tools at our disposal, with ethics thrown in as a mere motivational factor. One recent example of this kind of thinking came from a high-ranking official in the United Nations in response to Pope Francis’ encyclical, labeling it as simply a “nexus between science, morality, and political will” (June 10, 2015). 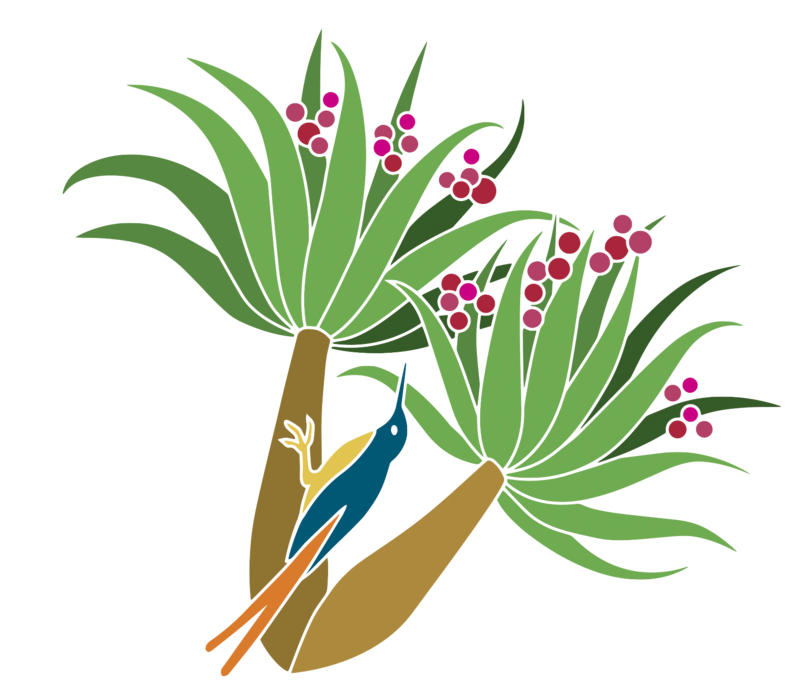 The encyclical signed by Pope Francis on the 24th of May, 2015 was much more than a mixture of these ingredients in favor of the natural environment; it presents a comprehensive vision of reality and the ecological crisis we face today that offers a refreshing philosophical critique of what our role in this world ought to be. Today, more than ever, there are many competing visions of what needs to be done as well as on what ethical basis to justify such actions. For example, how do you adjudicate claims involving persons and their livelihoods on the one hand, and the protection of endangered species on the other? This is the traditional, though deficient, clash between anthropocentric and biocentric ethics. In the context of a multitude of ecological crises, these positions and their concomitant responses have become a matter of grave importance but equally grave confusion. In truth, one’s ecological ethics is ultimately derived from one’s ontology, but far too often, as the fruit of modern philosophical cynicism, this foundational dimension of reality is overlooked, undervalued or ignored. 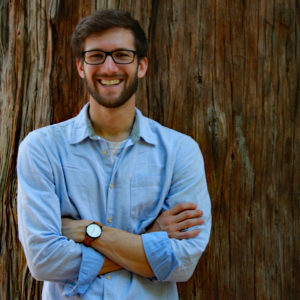 This course will be an interdisciplinary exploration of the comprehensive understanding of our world and its current environmental crisis through the critical gazes of contemporary authors such as Wendell Berry, Pablo Martinez de Anguita, Stratford Caldecott, and Joseph Ratzinger as well as classical authors from Aristotle and Plato, to Francis of Assisi and Thomas Aquinas, intermingling them with essential environmental writings from figures such as John Muir, Aldo Leopold, and Rachel Carson. Engaging case-studies will be used to illuminate the complex problems and divergent visions that will be addressed in this course. Classes will be based on the assigned readings which will span topics from the sense of wonder, to natural ecology, modern science, technology, philosophy, and ethics. explore realistic and holistic solutions to the ecological problems we face.